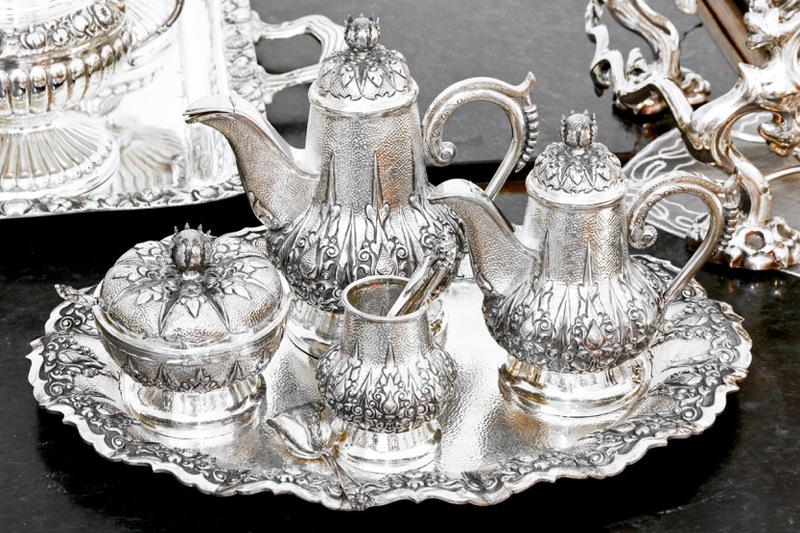 Since 1888, Charles Schwartz & Son has been buying and selling the finest silver in the Washington D.C. area. The silver experts here at Charles Schwartz & Son make the buying and selling process a true breeze! Our knowledgable staff of silver experts will evaluate your silver to offer you the highest possible price, while treating each and every customer with the utmost care, professionalism and confidentiality. We purchase a variety of 925 sterling silver goods, including: flatware, tea sets, fine silver jewelry and more. We offer the highest possible price for your unwanted silver jewelry or flatware—and with the price of silver at a record high, now is the time to sell your silver to Charles Schwartz & Son! With over 125 years of experience in the Washington DC jewelry industry—you can trust Charles Schwartz & Son to consult on any and all of your jewelry-related needs! For additional information, or to schedule an appointment to sell your silver, contact us today to set up a consultation.